​The lake and its shoreline are divided between the provinces of Verona (to the south-east), Brescia (south-west), and Trentino (north). 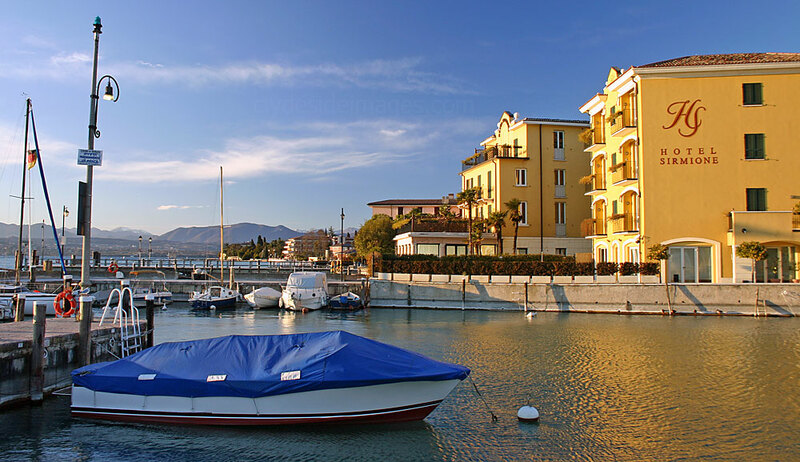 The name Garda, which the lake has been seen referred to in documents dating to the eighth century, comes from the town of the same name. It is the evolution of the Germanic word warda, meaning "place of guard" or "place of observation." 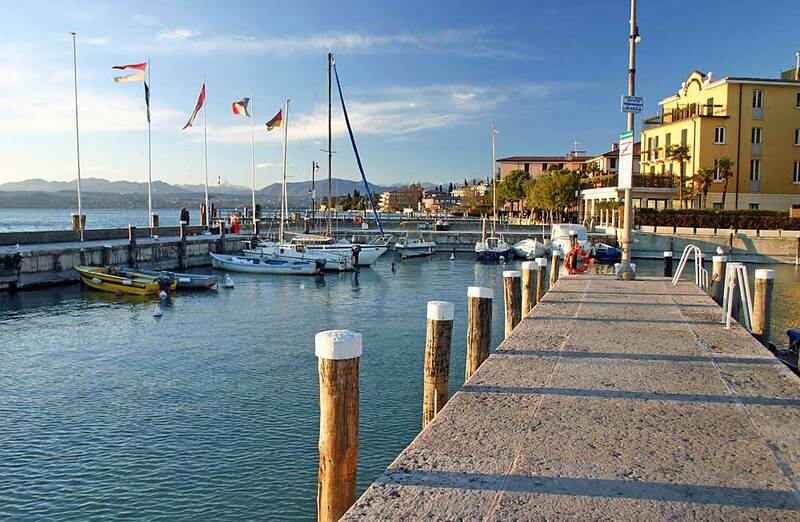 Although the climate is particularly mild, Lake Garda, lying north to south, is noted for the often fierce winds that descend from the mountains to the plains in the morning and blow back to the northern mountains in the afternoon. 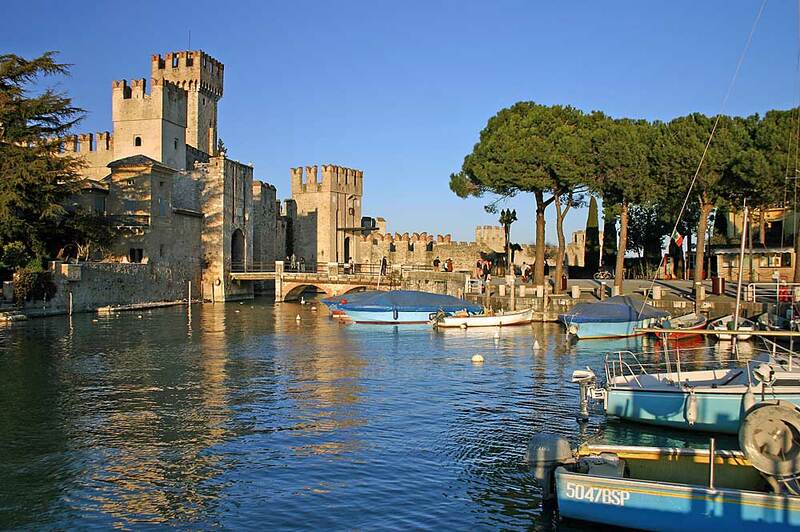 The only entrance to the village is guarded by picturesque Scaliger Castle which dates from the 13th century. There`s not much to see inside although anyone climbing the 146 steps to the top of the tower will have a decent view over the rooftops to the enclosed harbour, and hopefully the distant mountains. 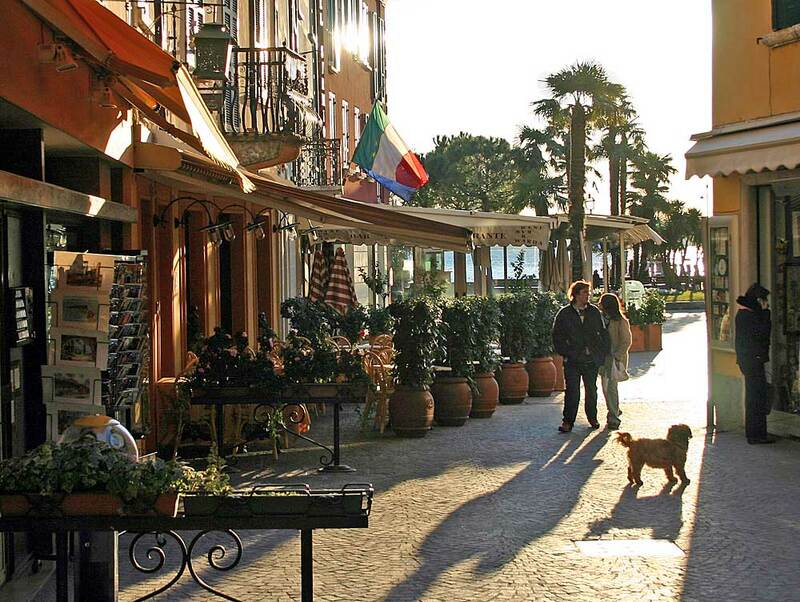 The village itself has numerous restaurants, bars, hotels, souvenir shops, fashion stores and a market, and it makes a nice place for a leisurely stroll.